Open and closed view. Not sold as a pair. 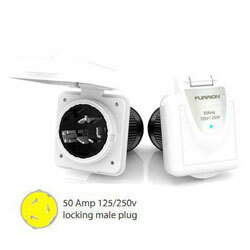 Furrion Shore Power Inlets are designed for today's advanced equipment.